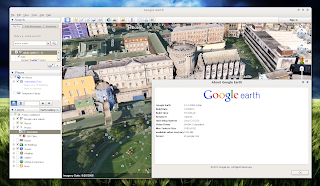 Google Earth is an application that provides a virtual globe, map and geographical information which you can use to travel the wold virtually, see images, 3D buildings, maps and more. The new version also comes with improved search which now uses Autocomplete, search layers as well as biking, transit and walking directions. 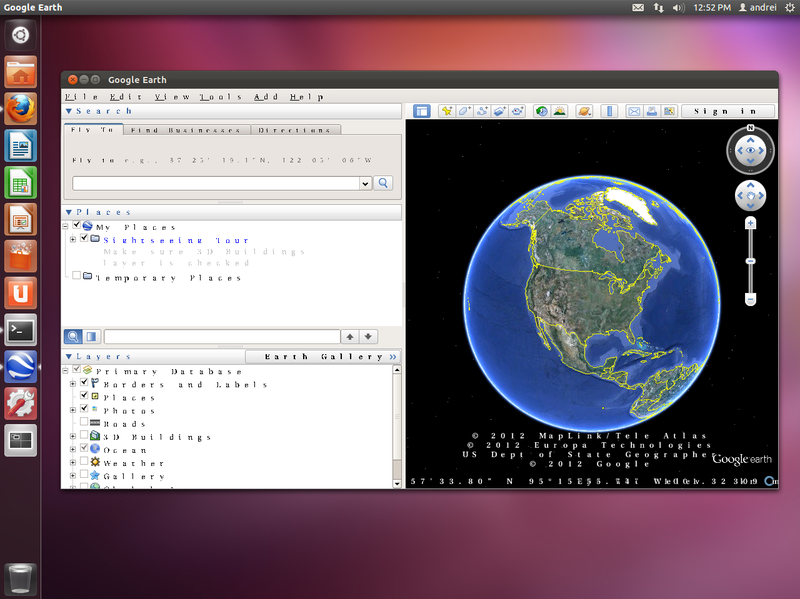 Google Earth 6.2 also comes with a new feature that lets you share a screenshot of your current view through Google+, but in my test, the Google log in didn't work under Ubuntu 11.10. If you know a fix for this, please let us know in the comments! Google Earth 6.2 for Linux was released a couple of days after the initial Google Earth 6.2 release announcement, so if you've downloaded Google Earth as soon as 6.2 was announced, redownload to get the latest 6.2 version for Linux. 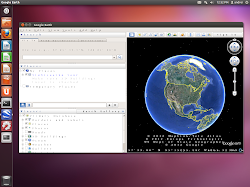 For Arch Linux, you can get the latest Google Earth 6.2 via AUR. Then log out and log back in! If the font bug persists, see THIS thread on the Google Earth help forum (via chimerarevo.com).